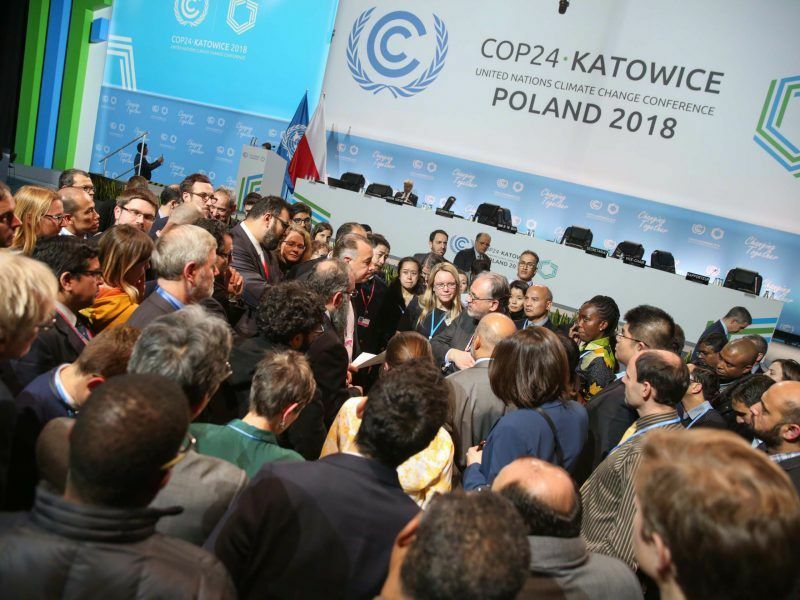 Dec 13, 2018 – Poland is hosting lobbying for coal and fossil fuels of a scale that has rarely been seen during an annual UN conference on climate (COP). The EU is turning a blind eye to this new facet of its ‘enfant terrible.’ EURACTIV France reports. The Polish stand at COP24. It takes just one breath of air to understand that coal is omnipresent in Katowice. The acidic smell from the combustion of coal in a neighbouring thermal power station can be noticed even in the temporary buildings Poland has packed around the conference centre. Even the slogan of COP24, “Katowice is changing the climate!”, which is displayed on buses, has a sense of black humour to it. The city’s emissions, which are being multiplied by the arrival of 20,000 people for two weeks, are actually contributing to the acceleration of global warming. It is no accident that the conference is being held in a region that had around 15 coal mines operating 20 years ago and still has two active ones. In the third COP to be held in Poland, the country is focusing on CO2 emissions rather than the climate. The country’s stand is covered with coal and displays products derived from coal, such as soaps and jewellery. On 4 December, at the opening press conference, Polish President Andrzej Duda highlighted the 200 years’ worth of coal reserves the country possesses on its own territory. Fossil fuels in general have an open forum just about everywhere in the conference, whether it is gas or oil, as is the case at any energy fair. The Polish stand actively contributes to this by holding events on gas, steel and “clean” coal, which relies on carbon storage and capture. 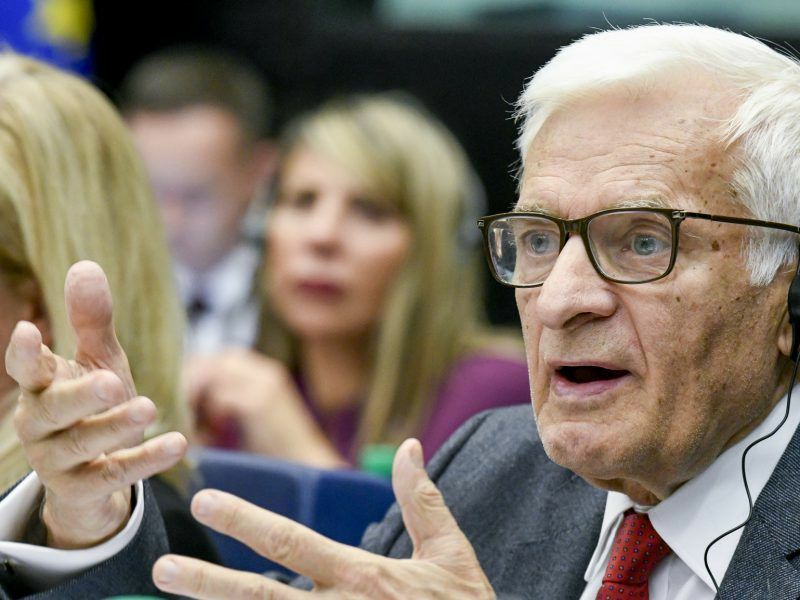 “The main subject of COP24 is coal and fossil fuels in the future,” MEP Jerzy Buzek had no hesitation in saying at an event on coal at the European Union’s stand. The president of the European Parliament’s Industry, Research and Energy (ITRE) Committee backed up his comments with the fact that the European Parliament recently supported an initiative to allocate a €5 billion budget from the future European budget (2021-2027) to fund the “just transition” of coal regions. This proposal is in line with the initiative to earmark 30% of the European budget for addressing global warming. However, it not clear how these funds will be used by the coal regions. While some genuinely want to accelerate the energy transition, others simply want to fund the status quo. “We need support particularly to create new sources of energy production that do not pose a health risk,” emphasised Greek European Parliament member Maria Spyraki, highlighting the 1,200 premature deaths in Greece due to coal every year, according to Greenpeace. “The decision on this fund hasn’t been made yet, but we’re not so supportive, we support a just transition, but not by transferring funds,” said Wendel Trio, Director of Climate Action Network Europe. The Greens also believe that the idea is not the most appropriate one. 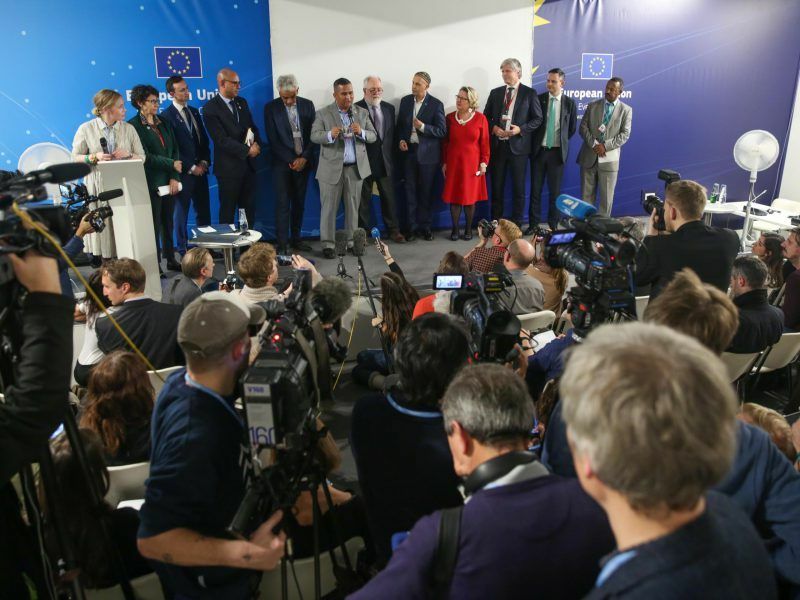 “The EU has already given billions to Poland under the carbon market, that’s enough,” objected Yannick Jadot, a French MEP who is part of the European Parliament’s delegation at COP24. The EU unblinkingly supports this attitude, which is hardly compatible with the Paris Agreement and which the 28 EU member states are supposed to support in the negotiations. When asked about the lack of leadership from the EU at COP24, the European Commissioner for Climate Action and Energy, Miguel Arias Cañete stalled. “We don’t want a medal, we want results,” he said. Despite the strong lobbying for the most polluting of fossil fuels, Poland is not lacking in contradictions. The Polish presidency of the COP attempted to move the boundaries by proposing new texts on Wednesday (12 December) in order to reach a result at the end of the week. This is because the country is not willing to carry the political burden of a failed conference. Moreover, the Polish ministry of energy is aware of the need to turn the page, if only on economic grounds. Given the price increase for a tonne of CO2 to around €20 per tonne, even burning domestic coal is expensive, and it affects business competitiveness. In the autumn, Poland therefore committed to reducing its energy dependence on coal, which is currently at 78%, to 50% in 2040. However, it has also committed to removing all onshore wind energy by this date. With the UK entangled in Brexit, France mired in the “Yellow Vest” movement, and Germany stuck in political quagmire, Europe is not ready to lead global climate talks as the decisive political phase of the UN climate conference opens on Tuesday (11 December). 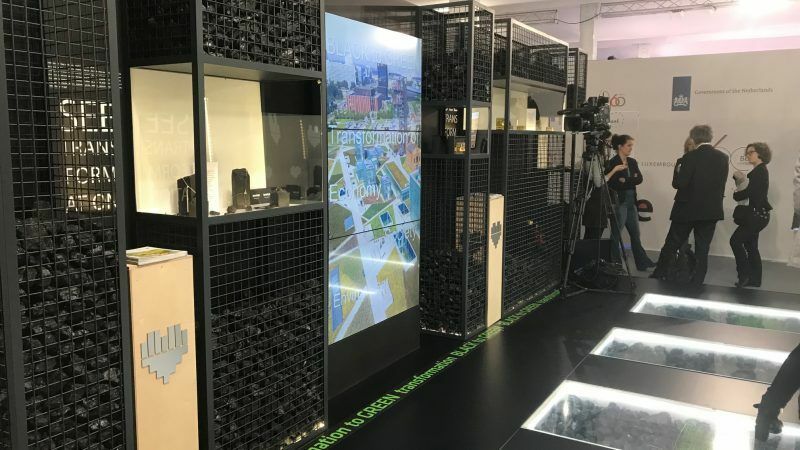 Over this special series on COP24, EURACTIV gives you a glimpse into the goings on of the UN climate conference in Katowice and what is driving the conversation there. In this edition: climate ambition at last, UN Secretary-General pounding on the table, Portugal getting carbon neutral, 630 brackets, and more. 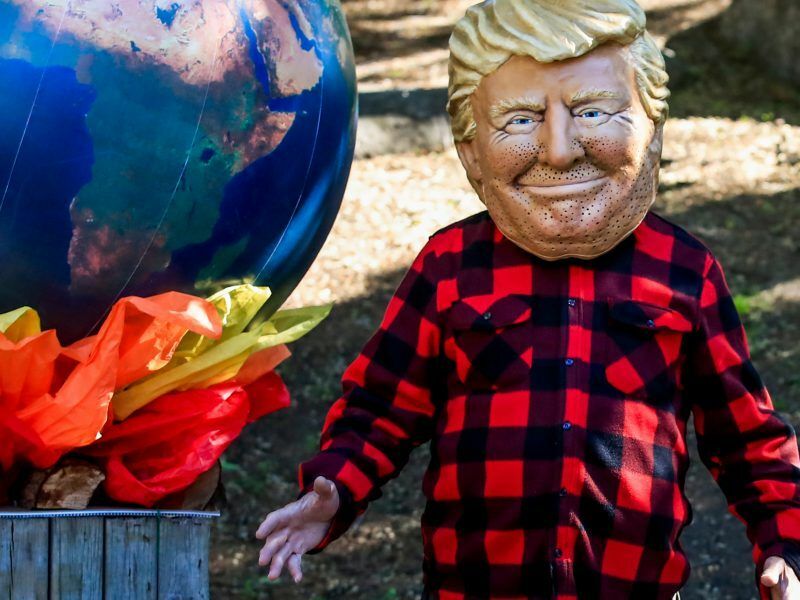 Despite Donald Trump’s rejection of the Paris Agreement, the US is still very much in the accord and zealously setting the tone of international climate change negotiations. EURACTIV’s media partner, Climate Home News, reports. *SOURCE: EURACTIV. Go to ORIGINAL.